Fast in memory data access, up to 25,000 ops (single doc read/write) per shard (each shard take one CPU core). System capacity is horizontally scalable, performance grows linearly by adding more shards. No single point bottleneck, all part of system is scalable, unlimited capability potential. True ACID(Stands for Atomicity, Consistency, Isolation, Durability) transaction support on distributed environment. MemDB brings ACID transaction support for MongoDB, on distributed environment! You can get full transaction support of traditional SQL database (like MySQL), while not losing the scalability of NoSQL database (like MongoDB). It's just a 'MongoDB' with a cache layer which support distributed transaction. Directly use of MongoDB's query API. Built-in Mongoose support, easy to port existing Mongoose project to MemDB. Each shard is backed by one or more slaves, no single point of failure. Copy default config file from node_modules/memdb-server/memdb.conf.js to ~/.memdb/ (mkdir if not exist), and modify it on your need. Please read comments carefully. See the video bellow, note how ACID transaction work cross multiple shards. 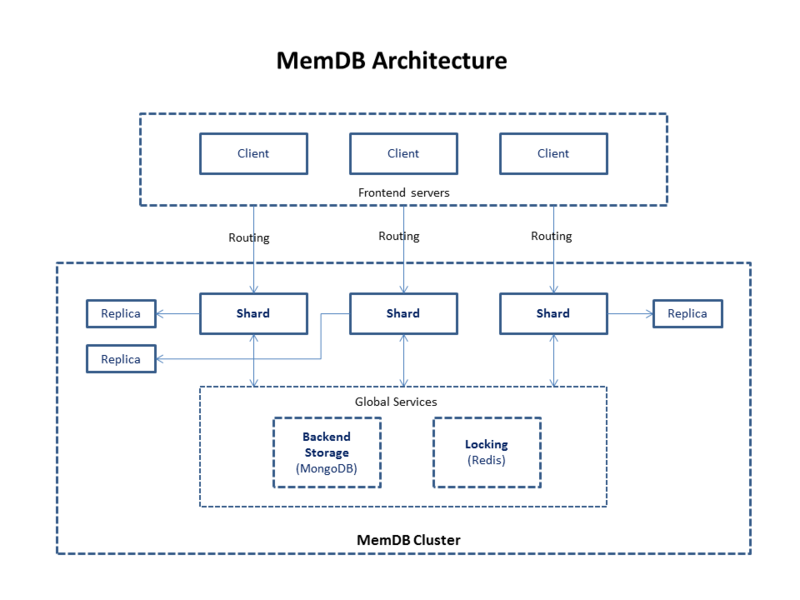 MemDB is like a 'cache layer' built up on MongoDB which support distributed ACID transaction. Do simple query and update through MemDB API, which is ACID transaction safe. Do complex query through backend MongoDB, the read is not transaction safe. Do complex update through backend MongoDB offline (All MemDB shards are shutdown). Data is not bind to specified shard, you can access any data from any shard. All operations inside a single transaction must be executed on one single shard. Access the same data from the same shard if possible, which will maximize performance. Unless required by applicable law or agreed to in writing, software distributed under the License is distributed on an "AS IS" BASIS, WITHOUT WARRANTIES OR CONDITIONS OF ANY KIND, either express or implied. See the License for the specific language governing permissions and limitations under the License. See the AUTHORS file for names of contributors.